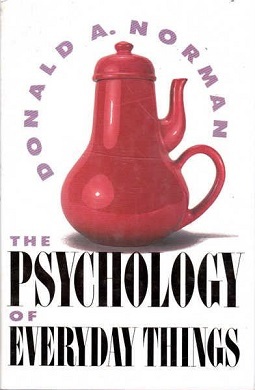 The book written by Don Norman describes why some things we surround ourselves with are more naturally adopted for everyday use by people. Anyway, fabulous book, and just recently I became aware that Don was going to teach a MOOC on Udacity on the topic. I would challenge you to join me in the MOOC and to take the course thinking about how we can redesign what we do in Extension to be more readily adoptable by new Extension clientele. This entry was posted in Social Media, Web-based Learning. Bookmark the permalink. Thanks Deb for the alert of the upcoming class.